Prominent & Leading Manufacturer from Ahmedabad, we offer steel interlocking screw, distal interlocking screw, small interlocking screw and interlocking screw. As per the requirements of the customers, we are involved in offering best quality of Steel Interlocking Screw. 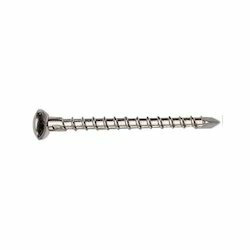 This Steel Interlocking Screw is known for its quality. 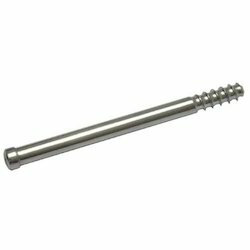 Further, the offered Steel Interlocking Screw is widely used for attachment of implants to bone, bone to bone fixation or for soft tissue fixation or anchorage. We are offering Distal Interlocking Screw to our clients. 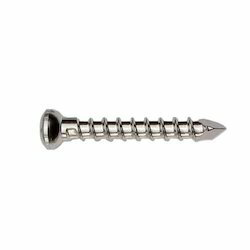 Precisely designed, these screws are manufactured using optimum quality raw material and high-end techniques in accordance to the international quality standards. Leveraging on the skills of our talented team of professionals, we are involved in offering best quality of Small Interlocking Screw. This Small Interlocking Screw is available in the market in wide range. The offered Small Interlocking Screw is extensively used in small-diameter tibial nails: a biomechanical study. Customers mostly preferred to purchase quality products, so we are involved in offering best quality of Interlocking Screw. The offered Interlocking Screw is available in various sizes and specifications. 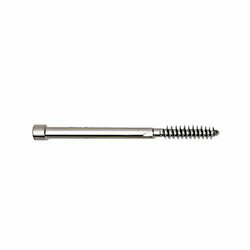 The offered Interlocking Screw is extensively used to enlarge the medullar canal for larger diameter nails and in third world country where image intensifier facility is not available.